This creative studio shares with us a great overview of their creativity using LightWave 3D. A great show reel is one of your most valuable assets; it shows and sells your skills. Spanish-based 3D Studio Gosho knows how powerful LightWave 3D is as a tool to express art. Specialized in ArchViz, Design and Motion Graphics, this creative studio shares with us this month a great overview of their creativity. Jose Mari Rivero, founder of Gosho and LightWave artist since 2000, granted us a few minutes to explain the importance of LightWave 3D in their production pipeline. If you have a reel that you are particularly proud of, be sure to drop us a note with more details and your URL at demoreel@lightwave3d.com. We would love to see your best work! Hi everyone! My name is Jose Mari Rivero. I am an audiovisual producer and I have been working with LightWave 3D since 2000. About 2 years ago I founded Gosho, an audiovisual studio in San Sebastian - Spain. Our reel is featuring some of our latest works we have made in collaboration with several agencies such as laproducer, Dimension, Hasitago or Whatba!, as well as original produced works of our own. 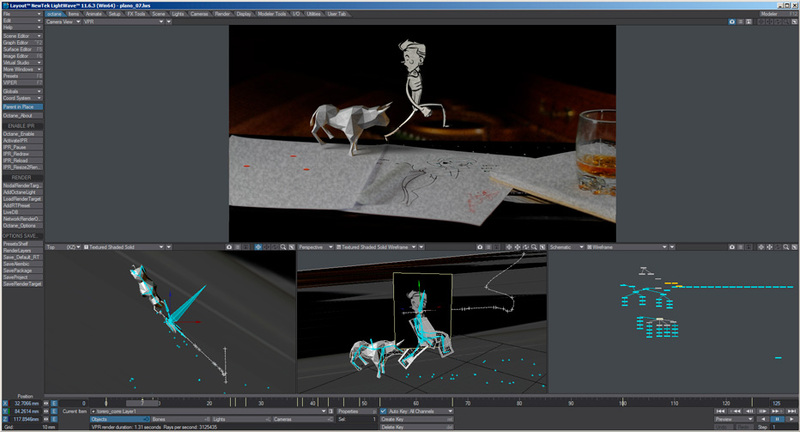 LightWave 3D is the essential tool in our work because it offers speed, performance with high visual quality. 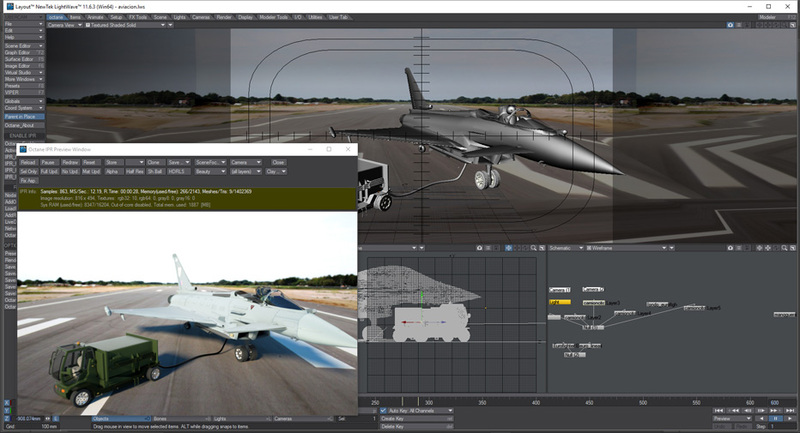 You can check out the break-down of our reel from the link in the article to see visually how LightWave 3D helped us create our projects. In CAF work, the train model was made in collaboration with the engineers’ company to ensure a very accurate model. 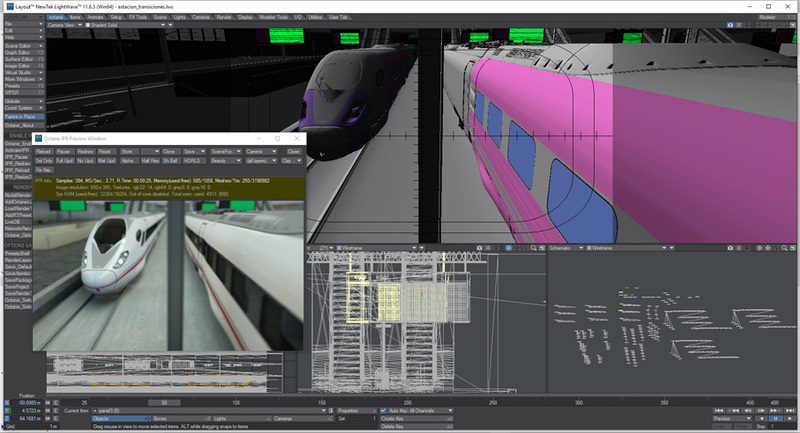 Based on the Zaragoza Delicias’ station, everything was modeled in LightWave 3D. 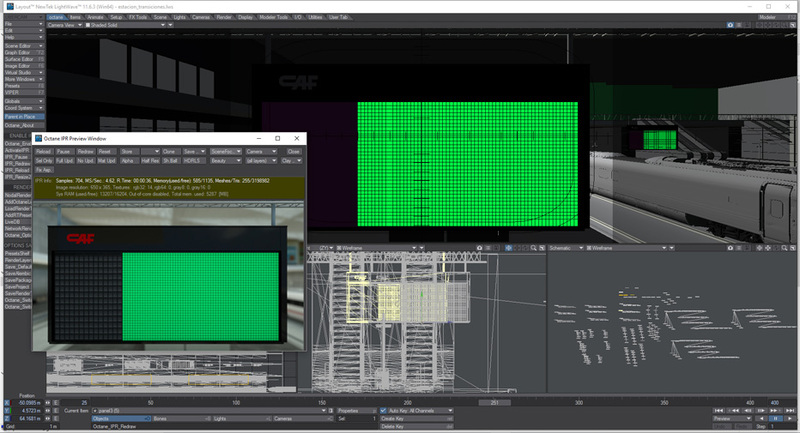 Geometry optimization and some remodeling were also done in LightWave 3D. The car scene is part of an audiovisual musical show by artist Javi Fermin. It is composed in LightWave 3D. The chroma is made in Blackmagic Fusion where we can easily separate the image from the alpha channel. 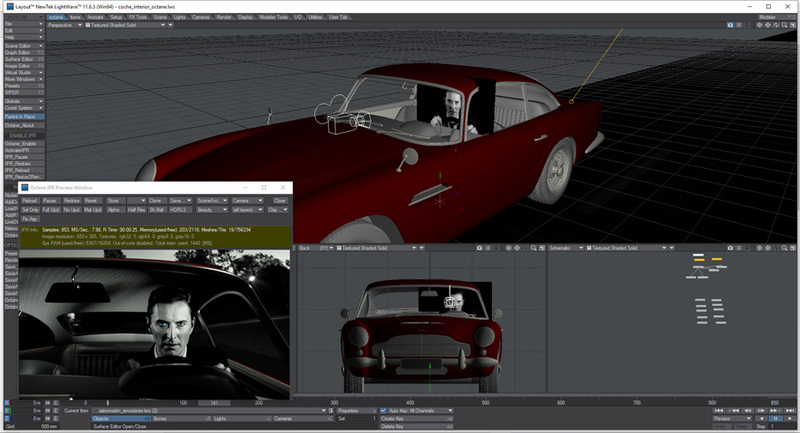 Using a clipmap, we were able to place the character inside the car. 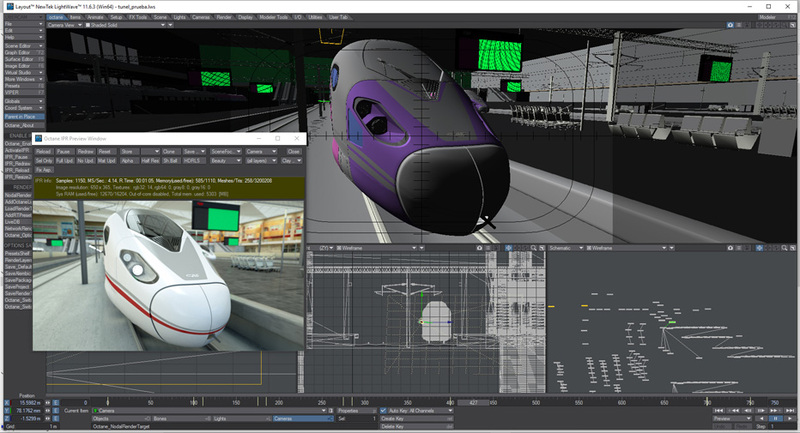 The scene of the plane and train were made in collaboration with the agency Hasitago. Speed and high quality were required, so we decided to integrate 3D objects directly into real images to avoid any environments modeling. We are now investigating Virtual Reality using LightWave 3D. It remains an essential tool in this regard. We make 360 renders, integrating both 3D and real images. Using UberCam plugin as well as OctaneRender, we can obtain great results.